New to the forum and new owner of a 2017 REx. Took delivery today. Still figuring out the charging and driving styles. Just got my 2014 I3 Rex and so far I am really loving it. In this area I haven't ever even seen another I3 and the local BMW dealer sells them but doesn't actually stock any. At least I have a place for service. Hello. New member here. Just bought a 2016 i3 REX. Haven't been to the gas station in 6 weeks. I laugh every time I pass a Chevron. I get a lot of questions about my BMW but so many folks don't get it which actually doesn't bother me. I've saved over $600 in gas already. The money I used to spend on gas is now buying me an i3. They just make sense. Hello new to the forum have had my 2016 Terra Rex loaded for about a month now. Very happy with the car and haven't really traveled too far yet. Got a great deal as it was a lease turn in with 24k miles . Hi there. I just got my 2016 i3 REX a few weeks ago and LOVE driving by the gas stations! Having a couple issues with my Siemens Level 2 VersiCharge unit but the car is fantastic! 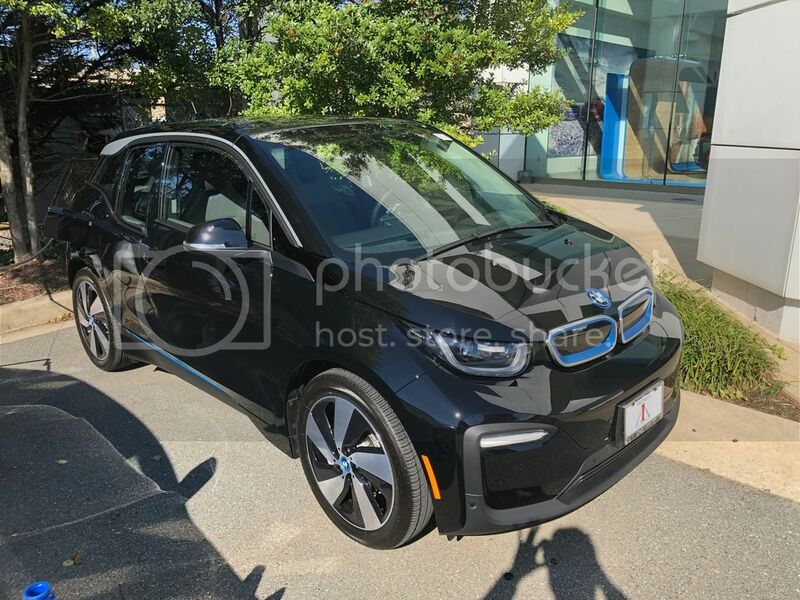 After stalking every brand of EV for many years, Just bought my new i3 base in black! I've posted a few times already and realized that I haven't said hello properly. Well ,"Hello!". First time EV owner and long time BMW petrol head. I purchased a 2014 i3 BEV with Technology Package, 20" Double Spoke rims and DC Fast Charging as the major options. Range is obviously down from new but still enough for my 3km to work. I'm loving driving the i3 and my fiance applauds me for trying to be greener and being a little bit more environmentally conscious. I'm in the Phoenix area and bought mine Certified Pre-Owned from a BMW dealer here. I love the car. Gets me to where I'm going. You obviously have great taste. tman66 wrote: You obviously have great taste. Thanks Tosh! My wife tells me that all the time too!